The first major upgrade for Macintosh users is that, like all of CS3, Illustrator is a universal binary application, meaning it will run natively on both PowerPC and Intel-based Macintosh computers. It was originally released while Mac OS 10.4 Tiger was all the rage in the Mac universe, but it works fine under Mac OS 10.5 Leopard. I found no problems or slowdowns with the application under Leopard. Good news for design firms that use Illustrator extensively and worry about upgrading to Leopard. At the time of this review, however, there are some workflow issues with Adobe Acrobat, so be sure to check out the Adobe website if CS3 is your production suite of choice. (As if you really had many other choices). After my last review of Adobe Illustrator CS2, I received a few emails about stability problems users of the software were having. While at the time I had no problems prior to that review, I did start to see some stability issues crop up from time to time. Usually they involved the activation of fonts, or third-party plug-ins. As with that review, I’m presently not having any stability issues with Illustrator CS3, although I am using the base program with no plug-ins or odd house fonts. 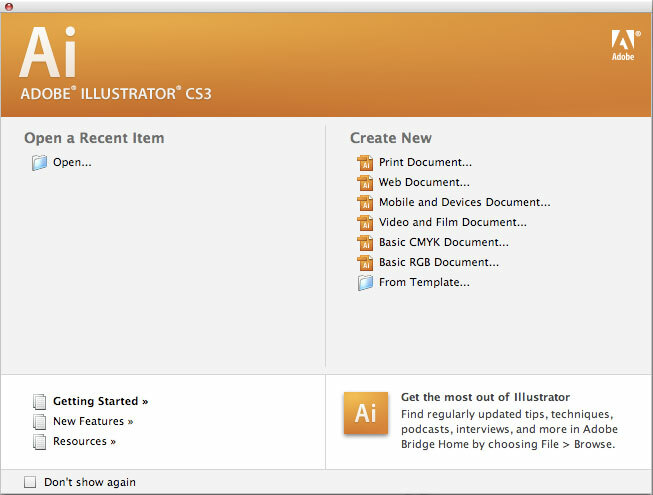 Upon firing up Illustrator CS3, the first change is the preset document type interface. This is carried over into all of Adobe’s CS3 applications, and it is welcomed. On the initial splash page (which you can turn off, see picture above) you can create a new page with presets for a Print, Web, Mobile and Device, Video and Film, Basic CMYK, Basic RGB, or a template page. 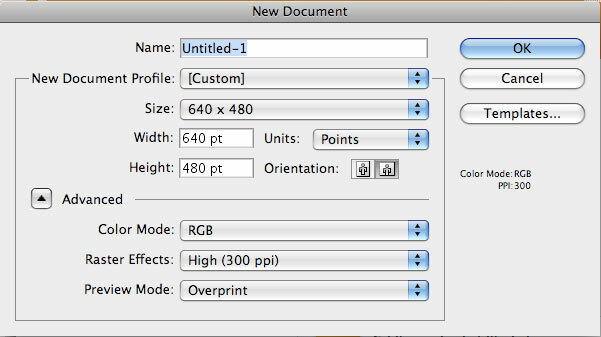 For instance, when creating a RGB document, you even have the option of setting DPI ( See picture below ). 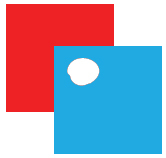 Some of the templates are very nice, and will provide a good creative start for those looking for some inspiration. Personally, I really like the DVD Booksleeve template as a good starting point when I am creating and printing my own DVD creations. On a side note, both Illustrator and Photoshop still only create a one-page document workspace. I have hoped for years that Adobe would adopt a multi-page layout option in both programs, but that is looking more doubtful as the years go by. I’m still holding out hope that they see the design implications this would create. The use of docks in CS3 is a big improvement in tool layout. I familiarized myself with the dock first in Adobe Photoshop, and enjoyed it there so much I was glad to see it in Illustrator as well. 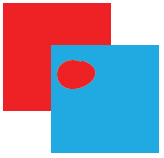 Live Color is the biggest change to Illustrator CS3. While powerful, the new features can be a little confusing to even a veteran Illustrator user. There are so many options; one can easily get lost in all the dialog boxes. The ability to save color swatches (and rename them) works very well. I especially like the idea of seeing complimentary colors in the dialog for Live Color. Nice. This is the 13th version of Illustrator, and one of the new tools is (gasp!) an Eraser tool. The Eraser tool doesn’t work with placed raster graphics, but does just what you would expect with drawn graphics. If you have only one object selected, it will only erase that object. (See figure three). If you have no object selected, it will erase all line art. (See figure four). For me, this is a cool feature, and I can see using the Erase tool as a faux-Mask option.